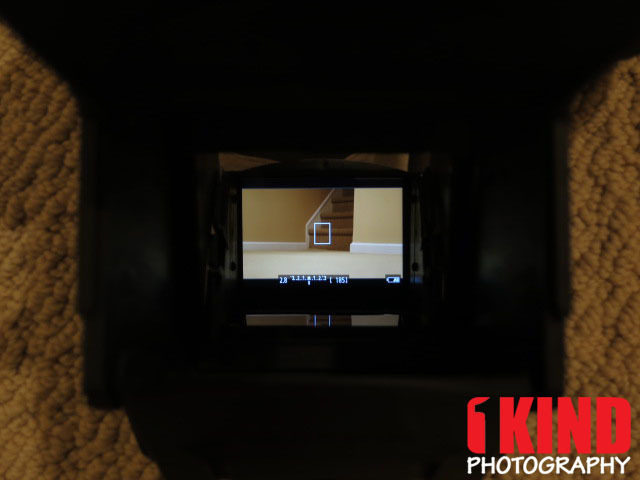 Overview : The Multi Finder UNI optical viewfinder is a necessary tool for shooting sharp and stable video with DSLR cameras. Whether shooting handheld or on a tripod, this turns a camera's 3 to 3 1/2 inch LCD screen into a clear, easy-to-focus viewfinder that lets you see your image in magnified detail even under the brightest sunlight. The Multi Finder UNI provides an extra degree of handling comfort and a crucial point of contact—between camera and eye—that adds stability to any handheld video. 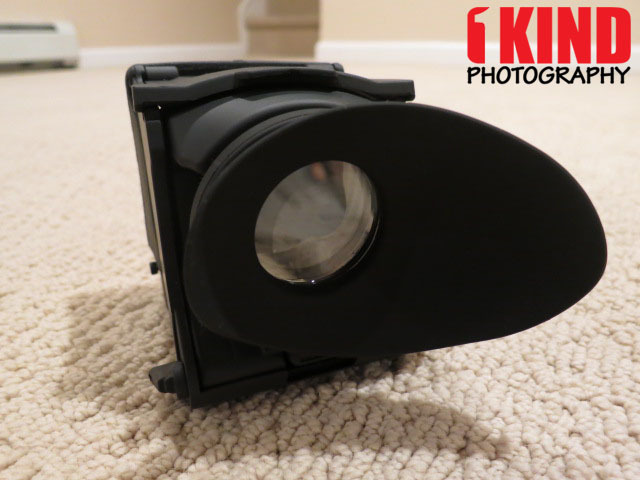 Works as a magnifying viewfinder, a low angle finder and a sunshade. The new Multi Finder has more adjustments side to side, forward and back, as well as up and down to fit DSLRs from Canon and Nikon. The entire loupe can be removed to leave behind a sunshade, or remove the entire LCD Multi Finder with the quick release baseplate. New designed Multi Plate and adjustable Up/Down body. 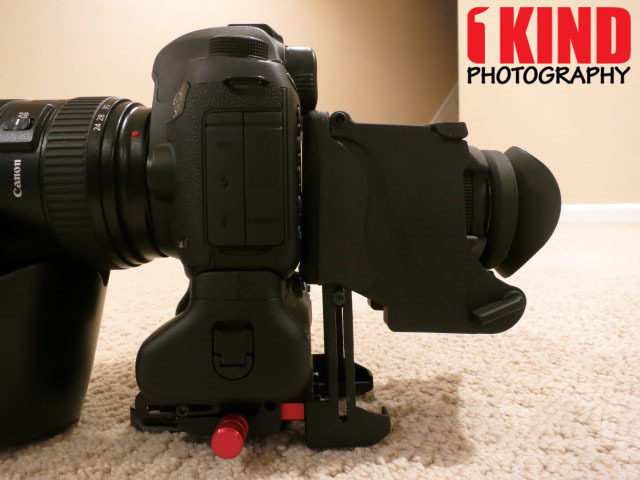 Adaptable to all kind of DSLR. 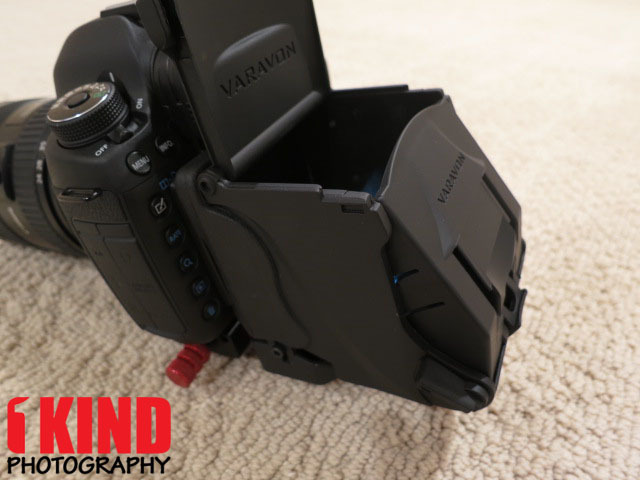 Take your filming to the new level with VARAVON MultiFinder! Quality/Usability : Shooting video with a DSLR camera is starting to become more popular among videographers, amateurs, professionals and even studios. It's crucial that your subject or scene is in focus as well as being able to see without having to squint or be limited to a viewing size. 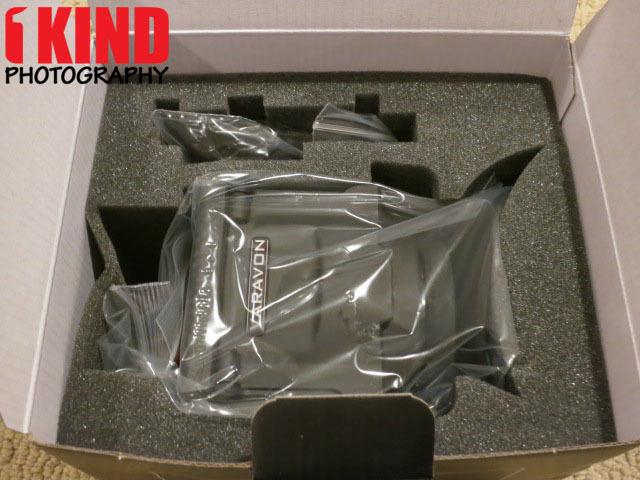 That's where viewfinders come into play. Rather than view your subject through the small viewfinder on your camera, this lets you use the live view mode via LCD screen on your camera as your viewfinder. A view finder also adds additional stability. 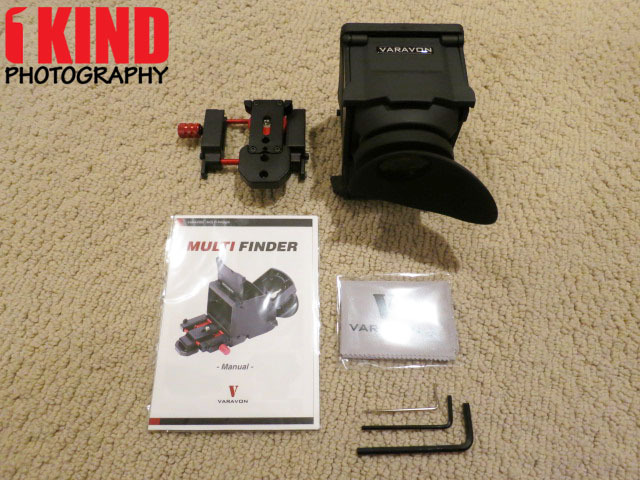 The Varavon Multi Finder Uni LCD Viewfinder comes well packed. It's covered in plastic zip-lock bags and protected with styrofoam that is shaped exactly for the multi finder. The Multi Finder measures 7.9 inches in length (with plate attached; 4.8 inches without), 3.5 inches in height and 3.8 inches in width. The total weight for the view finder weighs in at 1lb. The view finder accommodates 3.5 inch LCD screen and the height can be adjusted up or down. 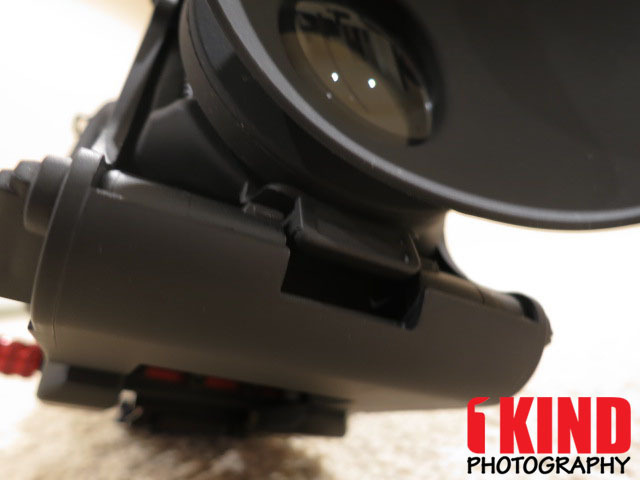 To adjust the height, use the allen key and loose the screw on the side of the view finder. Adjust it to the height and once it's correct, tighten the side screw. 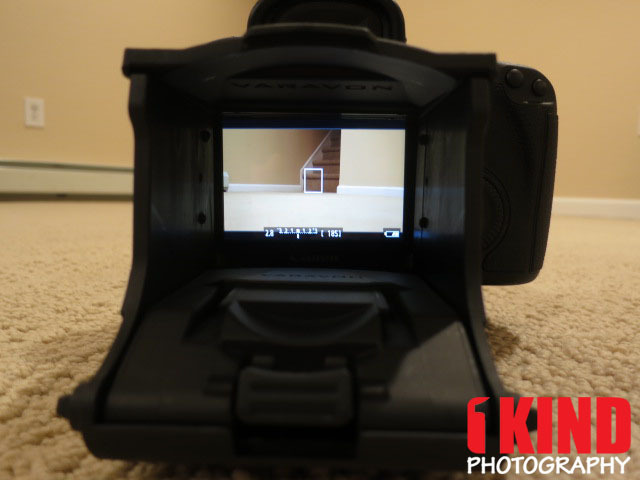 Now slide your view finder over your LCD screen. The back side of the LCD screen finder that touches the LCD screen has a rubber border all around the edge. This prevents any scratches to your LCD screen. I have a GGS Screen Protector and the Varavon Multi Finder Uni worked well with it. Also underneath the view finder, there are three sets of bolts. 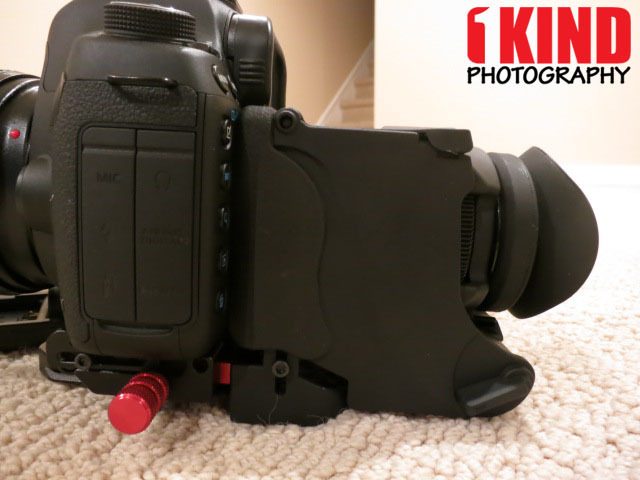 This allows you to move the bracket left or right in the event that you need to shift the view finder. 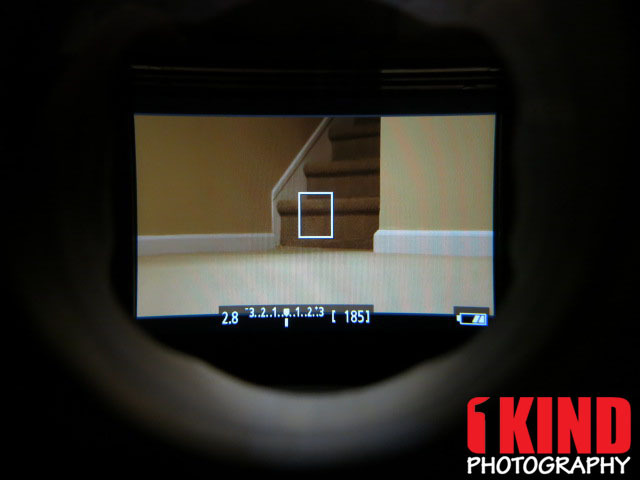 The viewfinder doesn't really work well with grips attached to cameras. On a Canon 5D Mark III and OEM BG-E11 grip, the height of the view finder was at it extended height and it wasn't as secure nor was there really much support. 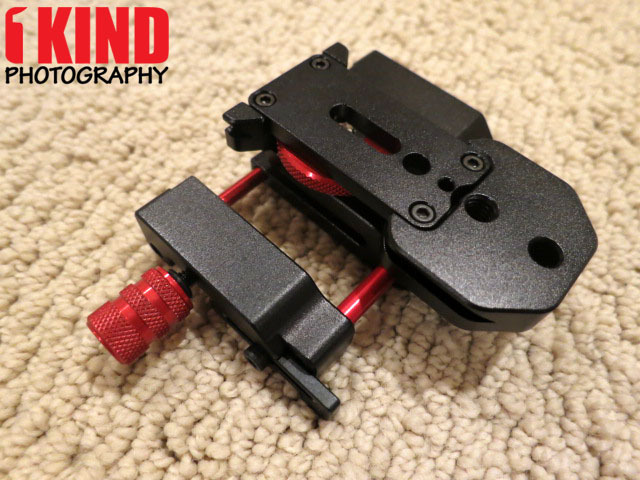 A great feature about the universal base plate is that it is adjustable. It can accommodate multiple cameras. You can slide the bracket left or right and the screw up or down. 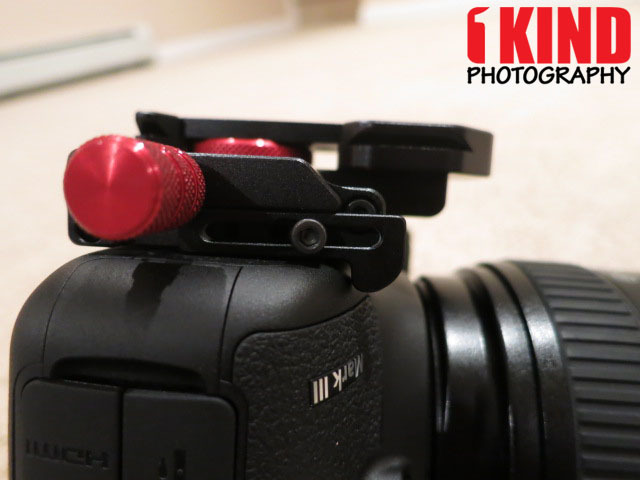 This all depends on what camera you use and where the tripod screw mount is located. Align the center of the plate with the center of your camera screen. 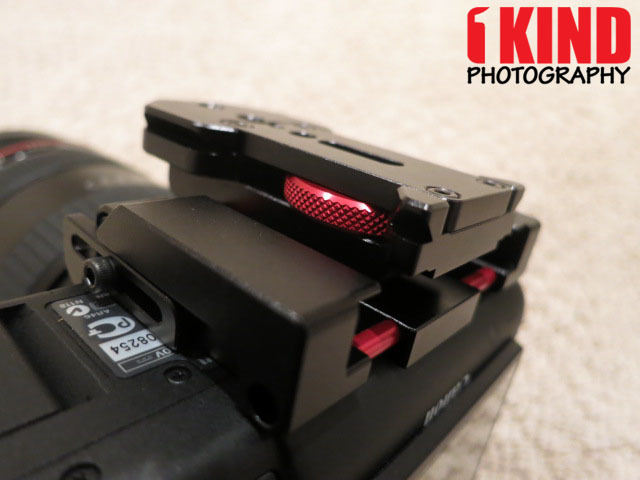 Once it is aligned, move the screw plate over the tripod screw mount and hand tighten with the red dial. You can also use the wrench to tighten it even more. 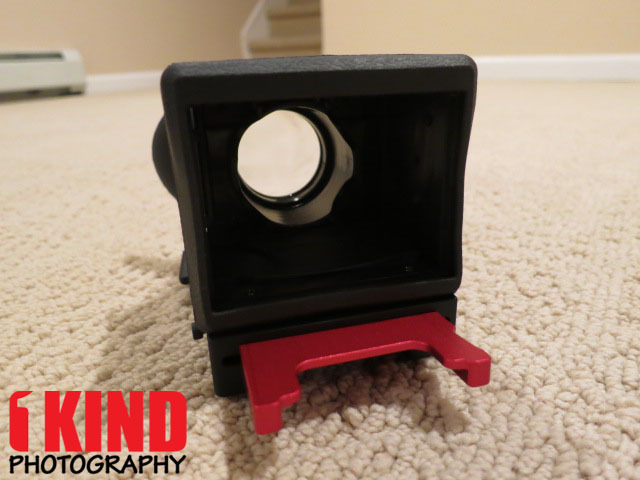 Once the universal plate is in place, you can now attach the view finder. There are also two brackets that helps locks the plate in place so it does not shift forward and back. 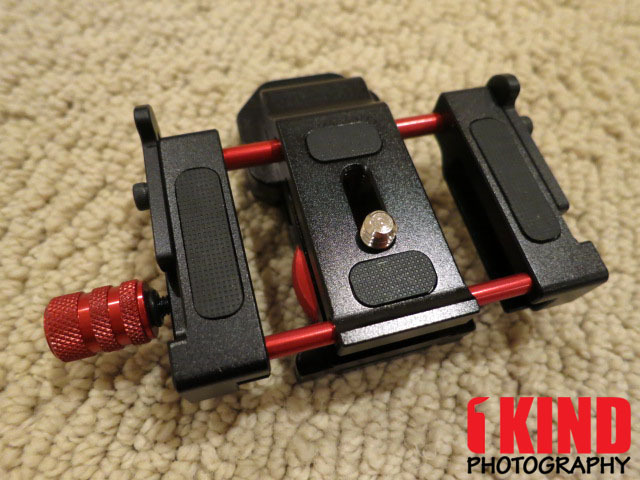 Since the plate is not a quick release plate for any tripods, there are two (2) screw holes towards the front of the plate that allows you to attach any quick release plates that you may want to use. On the loupe optics, there is a dial. This dial allows you to adjust the focus. 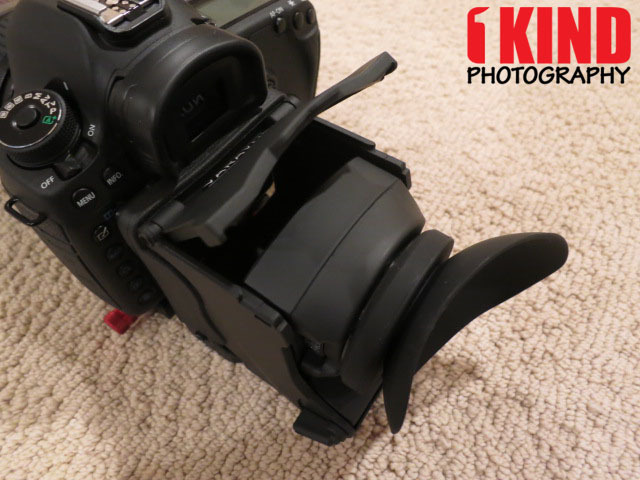 It's kind of like the dial on your camera view finder that lets you change the diopter. There are also two levers on the side. This open/closes the cover. If the lever is up, the screen cover is up (closed). If the lever is down, the screen cover is down (open). When it's open, you're able to insert the view finder or just use it as a sunshade. To remove the optic, there is a locking lever underneath it. Lift the top cover and press the locking lever down and slide the optic out and put the cover back down. 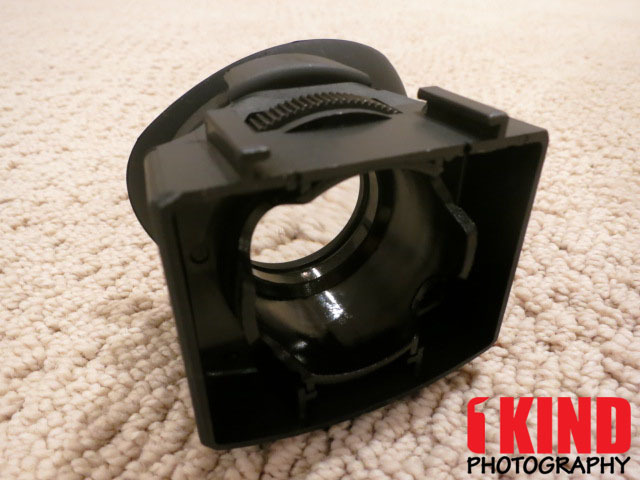 To insert the optics into the multi finder, simply lift the top cover and slide the optic on to the grooves until you hear it click into place. 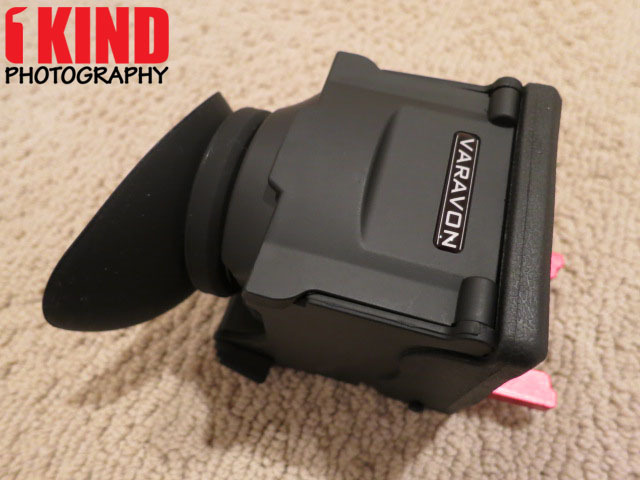 Other than the usual straight view finder, the unique feature on the Varavon Multi Finder products is it’s ability to achieve low angle shots by use of specially aligned mirrors. 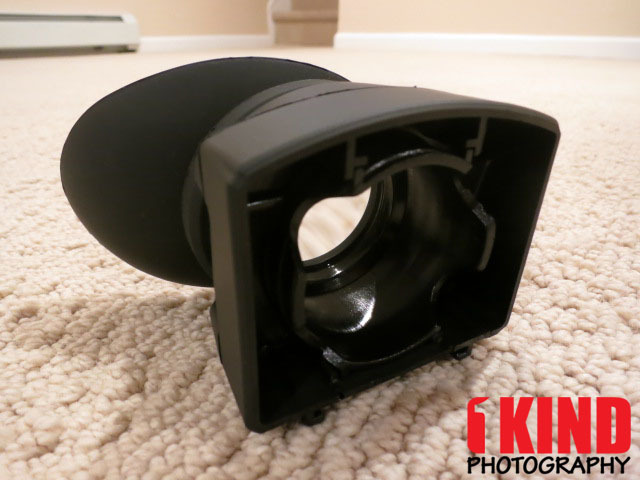 The optics can be removed if you need to use it as a simple sunshade and the quick release system makes it easy to remove the entire view finder. You can remove the optics even if you're doing low angle shots but that is a personal preference. Varavon claims that the their Multi Finder will not produce ghost phenomenon because it uses a Front Surface Mirror. With the Front Surface Mirror, the reflector is on top of the glass rather than the glass being on top of the reflector like a normal mirror. 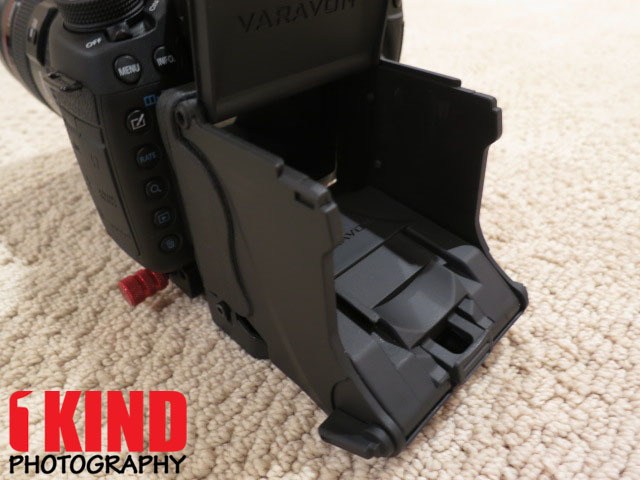 Conclusion : Overall, the VARAVON Multi Finder Uni LCD Viewfinder works on all if not most DSLR cameras. 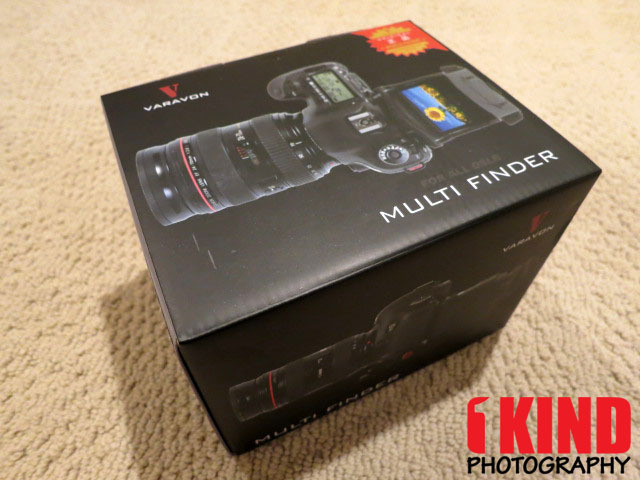 Varavon sells the Multi Finder specifically for the Canon EOS 5D Mark III and Nikon D800 for a MSRP of $310. 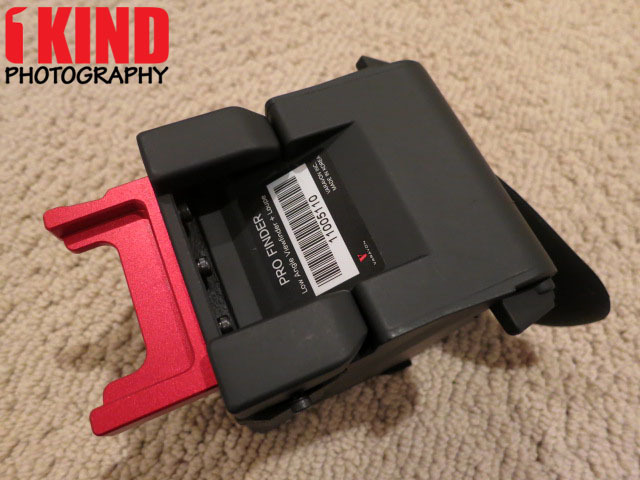 Not only do they cost more than the Uni version, but if you ever decide to upgrade your camera, the Multi Finder Uni probably won't work with your new camera. 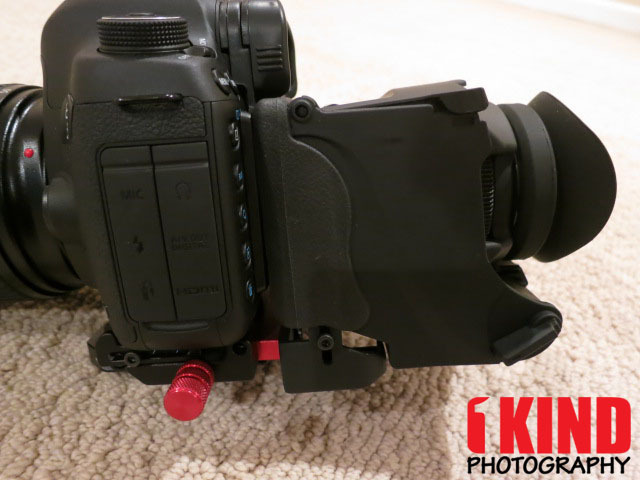 The Uni not only works with cameras only, but it also works with cameras with battery grips. But from our usage on a 5D3, the view finder was extended to it's tallest and wasn't as secure. We were able to see the full LCD screen without any displays being cut off in our view. This is crucial as no one should be shifting their head or eyes while recording just to see the displays on the LCD screen. The Multi Finder Uni is bit pricey compared to other view finders on the market but you get three items in one. You get a regular view finder, sunshade and low angle finder.